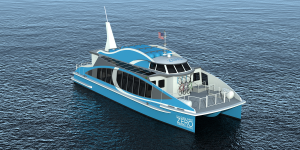 The Golden Gate Zero Emission Marine company is planning to produce the first hydrogen fuel cell powered ferry for commercial use in the USA. 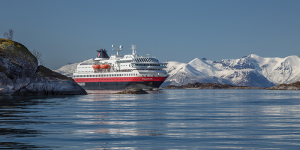 Swedish Stena Line that operates a ferry service between Gothenburg and Danish Frederikshavn has made a deal with with Callenberg Technology Group. 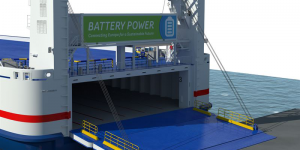 In three stages signified by different sized batteries, they want to electrify the vessel Stena Jutlandica. 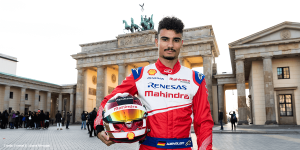 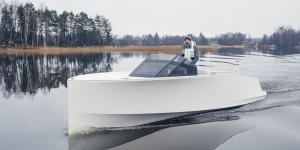 Kreisel Electric has developed a high performance battery, which allows for a high speed of up to 50 knots (93 km/h) on the purportedly fastest serially produced electric boat in the world. 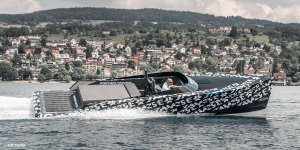 The motor for the SAY29E Runabout Carbon has a peak performance of 368 kW. 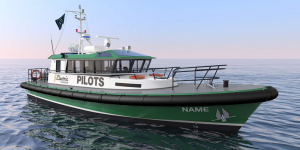 Naval engineering firm Robert Allan has designed an all-electric pilot boat to ferry pilots to their bigger barges waiting further at sea. 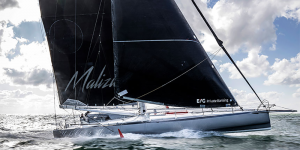 The RAlly 1600-E is to run 5 nautical miles, just short of 10 km, leaving enough capacity in the battery to get back safe. 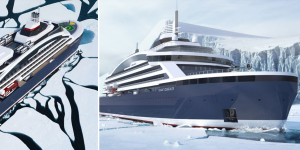 Norway’s cruise operator Hurtigruten has turned to Rolls-Royce for a green update of its ocean liners. 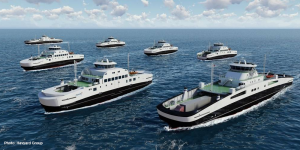 Up to nine diesel vessels shall get a hybrid engine from RR and also switch to natural gas power at the same time. 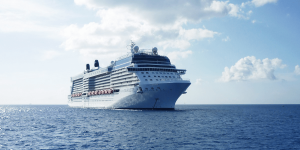 This is the first ever deal to curb emissions from the shipping industry as 173 countries agree at a London meeting of the U.N. International Maritime Organization (IMO) to reduce emissions by at least 50 percent by 2050 from 2008 levels. 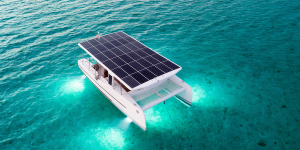 The government of French Polynesia looks upon the launch of the solar-electric catamaran SoelCat 12 approvingly and has waived all taxes. 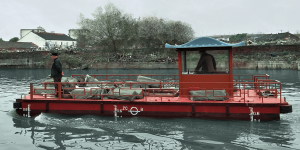 The solar-powered boat is a cooperative effort and has launched into the seas of Bora Bora. 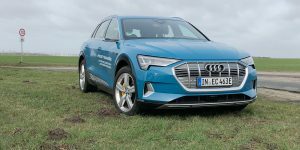 Germany’s Torqueedo has received a large order from China, where the mega manufacturing hub Suzhou struggles to clean up its act. 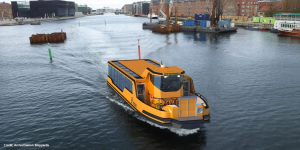 177 workboats powered by Torqueedo’s all-electric drive are to be deployed on the region’s many waterways to scoop up debris. 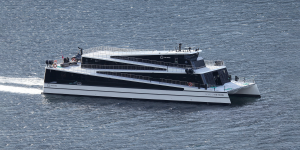 Plan B Energy Storage, that is PBES is the power behind Norway’s two latest ferries that serve on routes for operator Fjord1. 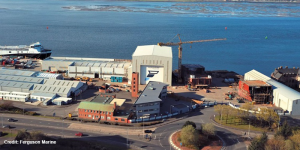 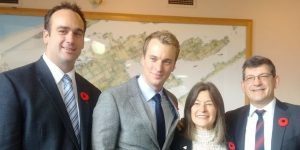 PBES says it installed a 1MWh battery system on each of the vessels that were designed by Norway-based Multi Maritime. 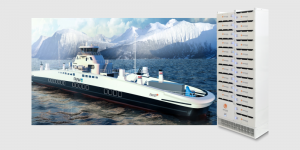 Siemens has decided to move its battery production for electric marine vessels to Norway this Spring. 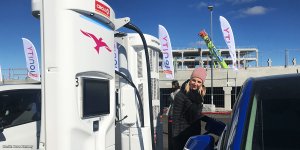 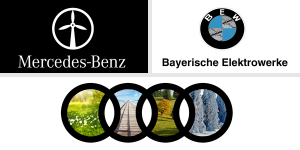 The new location in Trondheim offers cheap energy from renewable sources and favourable policies for electric transport applications. 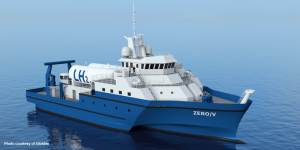 The German company, specialised in electric motors for vessels, intends to launch a 25 kW range extender for its system Deep Blue. 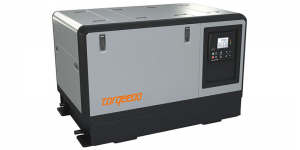 In order to do so, Torqeedo teams up with Dutch company WhisperPower. 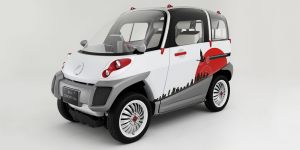 Inspired by Japan’s 2011 tsunami, the Fomm Concept One is a water-cruising EV that is on its way towards serial production. 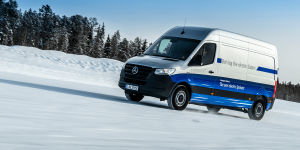 Dubbed as the world’s “smallest class 4 seater EV” it shall enable first (or last) mile travel. 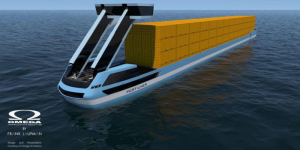 Two electric-powered container ships will start to commute between Rotterdam, Netherlands and Tilburg, Belgium from this autumn on. 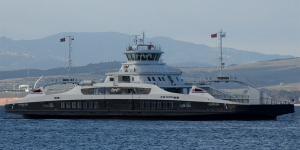 Both cargo vessels are owned by the recently established company Port-Liner and are going to be hired by logistics company GVT. 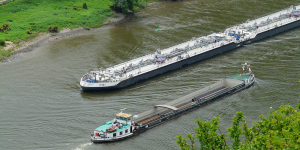 Inland navigation vessels benefit from new fee regulations concerning Amsterdam and Zaanstad port waters. 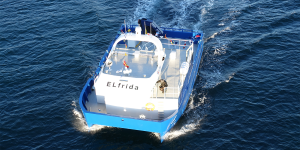 Since 1st of January, zero-emission ships pay 20 less than their conventional-powered equivalents. 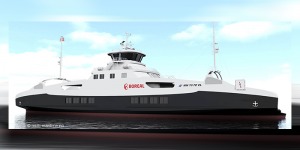 Shipbuilder VARD has received an order for an all-electric ferry from Boreal. 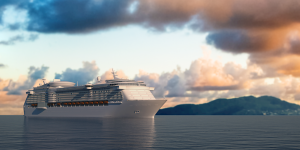 Specifically designed to glide through Norway’s fjords, the new car- and passenger ferry is scheduled for delivery by Q3/2019 and to be waterborne by 2020. 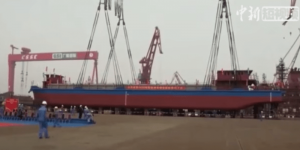 In the Chinese Guangzhou province, a massive cargo ship with an energy storage capacity of 2.4 MWh has been put into operation. 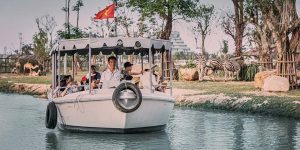 The vessel couples two 160 kW electric propellers and a mix of supercapacitors and Li-ion batteries for up to 80 km on one charge.